In 1918, as the First World War ravaged the European continent, young American journalist Lowell Thomas traveled to Arabia to report on the revolts breaking out as an indirect result of the savage European conflict. While in Jerusalem, he met and struck up a friendship with the young British captain, T.E. Lawrence. 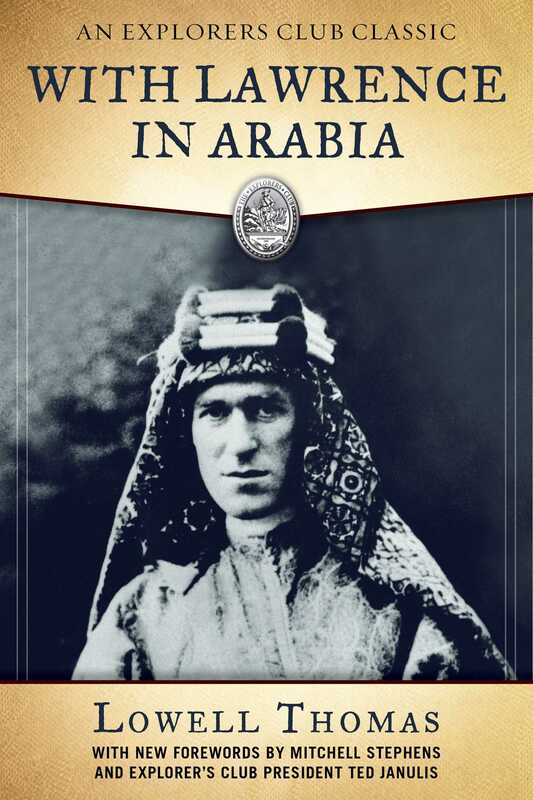 Based on his travels and interviews with Lawrence, Thomas wrote the now classic With Lawrence in Arabia, the book that spawned the Lawrence of Arabia legend and served as the basis for the award-winning 1961 film of the same name. Fantastically paced with equal measures of fact and adventure, Thomas narrates the exploits of the infamous British agent who against all odds managed to join several factious Arabian tribes into a single combat unit. With Lawrence in command, this guerilla force would go on to defeat the great Turkish Army and ensure the eventual demise of the previously impenetrable Ottoman Empire. On the sweeping and the exotic Arabian desert that serves as the setting for this epic account, Thomas brings to life dozens of great historical figures including Emir Feisel, King Hussein I of Hedjaz, British General Edmund Allenby, and Lawrence, the enigmatic, modern knight of Arabia.” With new forewords by modern explorers, this Explorer’s Club Classic edition of With Lawrence in Arabia is a must-have for every history buff and arm-chair adventurer.